sweet and helpful interactive bedtime story for tucking in your kids. It offers a calming and cute bear that has to get ready for bed. The child will help the bear as he puts his toys away, gets his pajamas on, and brushes his teeth. Win this app May 25th, 2016! 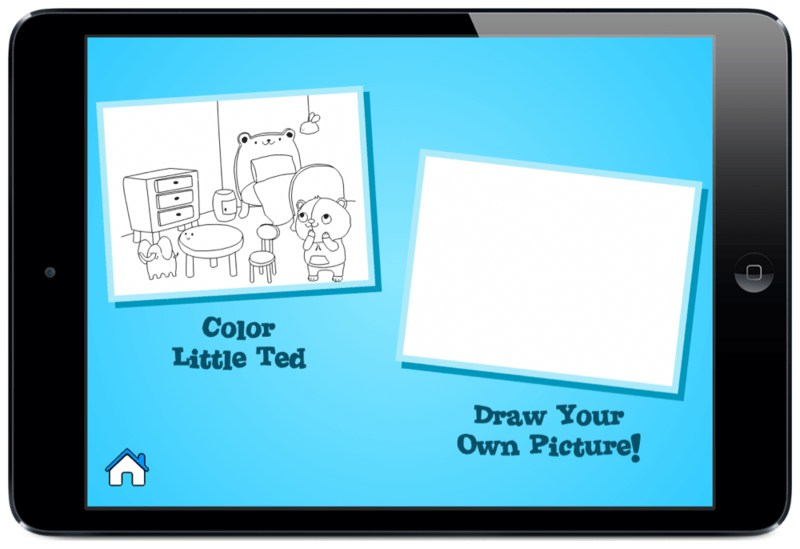 Time for Bed Little Ted is a sweet and helpful interactive bedtime story for tucking in your kids. It offers a calming and cute bear that has to get ready for bed. The child will help the bear as he puts his toys away, gets his pajamas on, and brushes his teeth. As he works through the steps of a bedtime routine, the interactive activities are simple and engaging to the story. As bedtime can be a challenging task each night for many young children, this app can help as a social story schedule and to better support a typical nightly routine. It also is very calming and perfect as a bedtime story. The beautiful story was written by Kryssy Hurley. 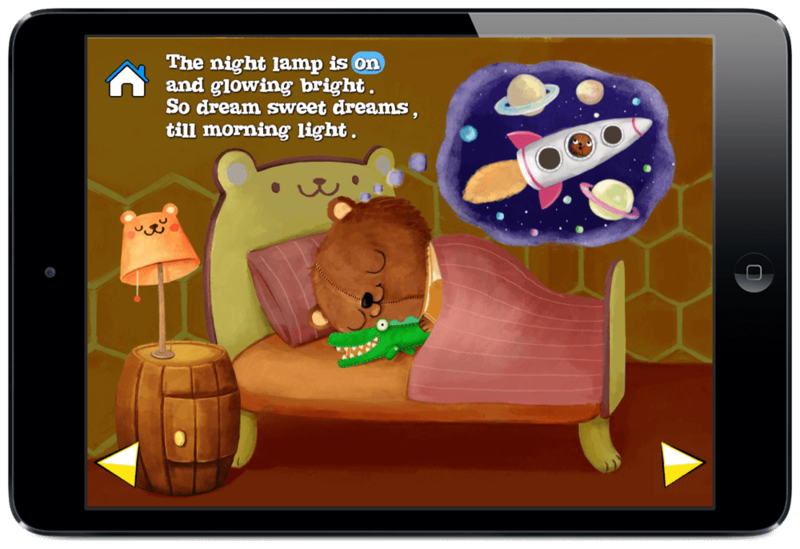 You can read more about her journey on creating this app on her website, Time for Bed Little Ted. She talks a little about being a parent of a child with ASD and her focus on finding a story that can support all children. She also talks about how this sweet story evolved into an Ebook and now an app that is available on an Android and the iPad. The hand drawn illustrations are done by Monika Suska. Other contributors for music, narration, and development include: Dan Budd, Jasmine Hyde, Antenna Studios, Alejandra Labraga Arbelo, and Blakethedev.com. Within the story are many mini activities for the child to help with. 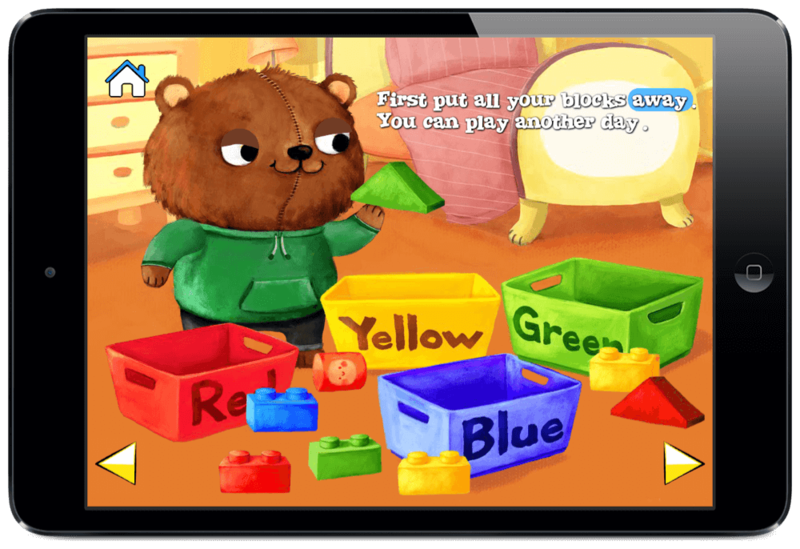 They can sort blocks by color, help the toy train into its station, count the animals and place them on a shelf, get undressed and put pajamas on, wash the bears face and teeth, and more as you prepare him for bed. The tasks are very simple but do require dragging and dropping. Most children will be great at this but some with a fine motor delay can struggle at times. There is an activity on every page which is great to keep the attention of a young tot. After the activity is accomplished, a “Great Job!” message will appear on the screen. It is not narrated and since young children cannot read, they might not understand what it is saying. I think it would be helpful to narrate that as well. The recording feature is a premium feature in digital stories but it helps so much! It is something I always look for when purchasing a story in the App Store. Many children respond better to a familiar voice. It could even be fun for them to recite the story themselves and record it. The coloring option is also a lot of fun. My kids really had fun coloring as an incentive for reading the story. The child can color a coloring page or he can color on a blank screen. There are plenty of colors, and sizes to choose from. I was impressed however I do wish there were more coloring pages. I also think it might be neat for the child to be able to color pages from the story and then use them in the story if wanted. It would make the story even more personalized. This app is really cute and calming. I would definitely recommend it to all young children under the age of six. It does offer a very calm, and peaceful story that helps children fall asleep. It would be especially great for kids that struggle with a bedtime routine and need help easing that anxiety. This app is very safe. There are no ads or links to the outside. It is a simple but well illustrated story. My boys loved the mini activities on each page and the coloring feature. The features weren’t overwhelming or challenging which also supports a bedtime atmosphere. It is available in English, Spanish, and English UK. Be sure to check it out and enter the giveaway found on the Touch Autism Facebook page. At the time of writing this review, Time for Bed Little Ted retailed for $2.99 in the app store. It is also available for Android. Download it today! 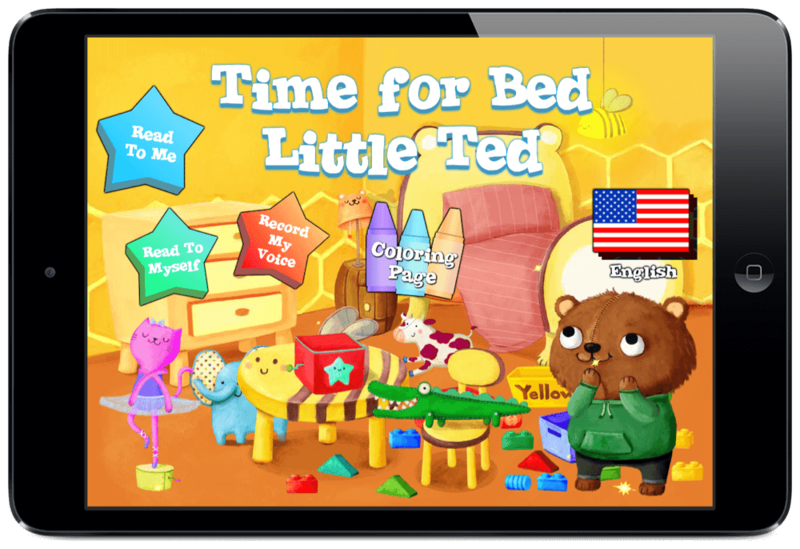 Download Time for Bed Little Ted in the App Store today!